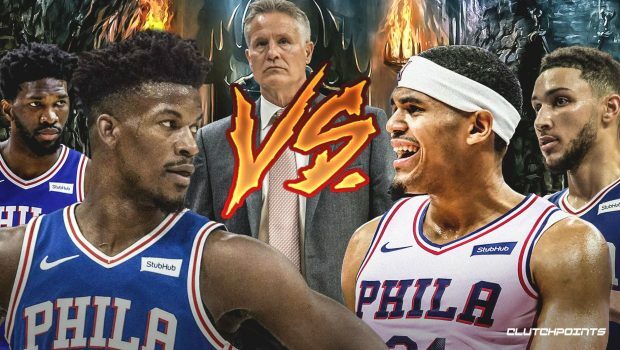 CHECK OUT SIXERS ODDS OF RE-SIGNING BUTLER AND HARRIS! Previous EAGLES MAKE PHILLIP DANIELS NEW DEFENSIVE LINE BOSS! TODAY IN BROOKLYN: WATCH SIXERS JOJO PRACTICING IN SANDALS! SIXERS SIMMONS EXPLODES IN BROOKLYN: 31, 9 AND 3 BLOCKS, WATCH! Join Us For Free Weekly Updates! ICYMI: HERE’S 2 MINUTES THAT SHOW HOW SIXERS SWATTED THE NETS! WATCH RETURNING HERO D-JAX AND EAGLES WORKING OUT! A website dedicated to the passion of the best sports fans in the world! To reach the editor or advertising director, please fill out our contact box.